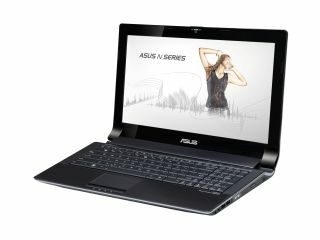 The Asus N73 and N53 laptops have been announced, with both models boasting SonicMaster certification. The 15.6 inch N53JN and the 17.3 inch N73JN come with Intel Core processor, and Nvidia GeForce graphics with the clever Optimus tech which switches between the discrete and on-board graphics to save on battery life. But the headling inclusion is the SonicMaster Audio, which has been developed with Bang & Olufsen ICEpower. "Asus SonicMaster guarantees superlative laptop sound, thanks to a number of portable audio innovations, including large speaker chambers and powerful amplifiers," explains Asus. "Realising that people spend up to a third of their day using multimedia devices of some description and that most laptops fall short in delivering high-quality audio, Asus went back to the drawing board. "Working with its own 'Golden Ear' team and the acclaimed Bang & Olufsen ICEpower innovations house, Asus focused on ways to develop natural sound that wasn't compromised by the constraints posed by laptop computers, but instead capitalised upon them. "The result represents a new standard in laptop audio — Asus SonicMaster. SonicMaster isn't a gimmick, but a new professional audio certification programme for portable computers. "SonicMaster-compliant laptops like the new N Series incorporate large speaker chambers, more powerful amplifiers and extensive software processing to deliver breathtaking audio fidelity." Prices start from £649 (up to £999) for the 15.6" N53JN, £1,099 for the N73 and the promise that they will be in Comet ahead of Christmas.